This Bible was published in 1841. It first belonged to John and Sarah (Bailey) Bodine. 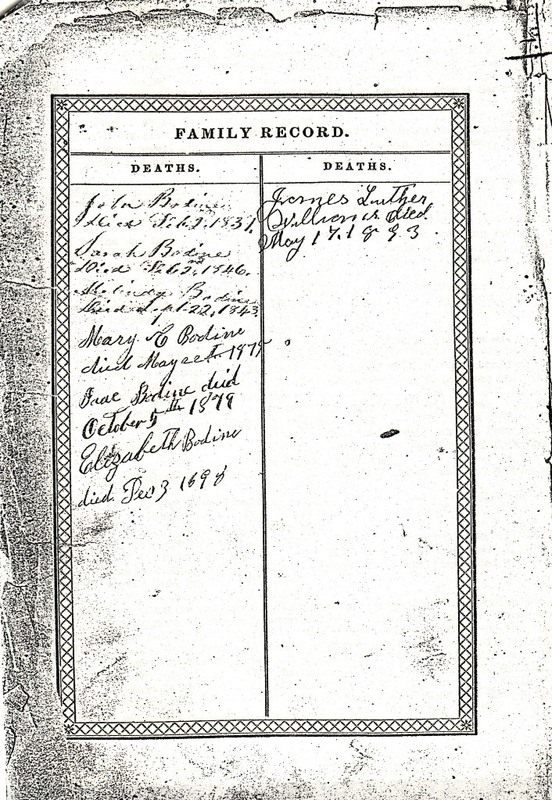 John was the son of Cornelius and Mary Bodine. By 1986, it had passed down to Mary Lee Page Field of Flint, Michigan. She was a great-great-granddaughter of John and Sarah Bodine. 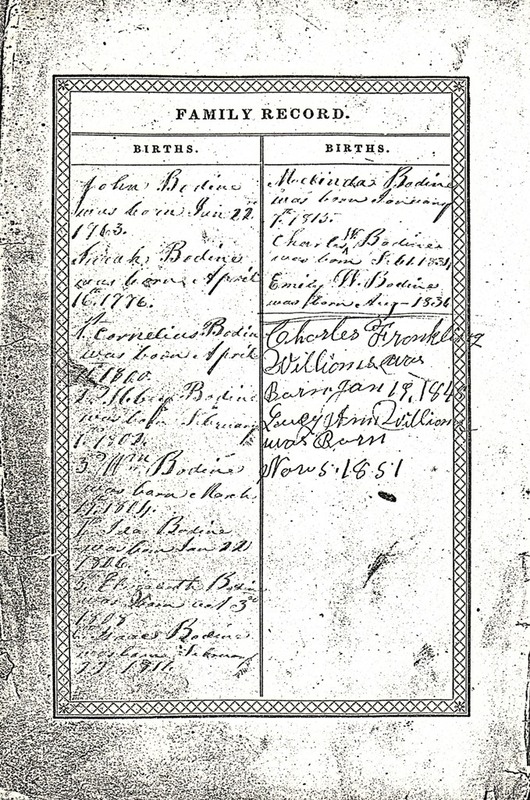 John Bodine was born January 22, 1763 in New Jersey, probably Hunterdon County. 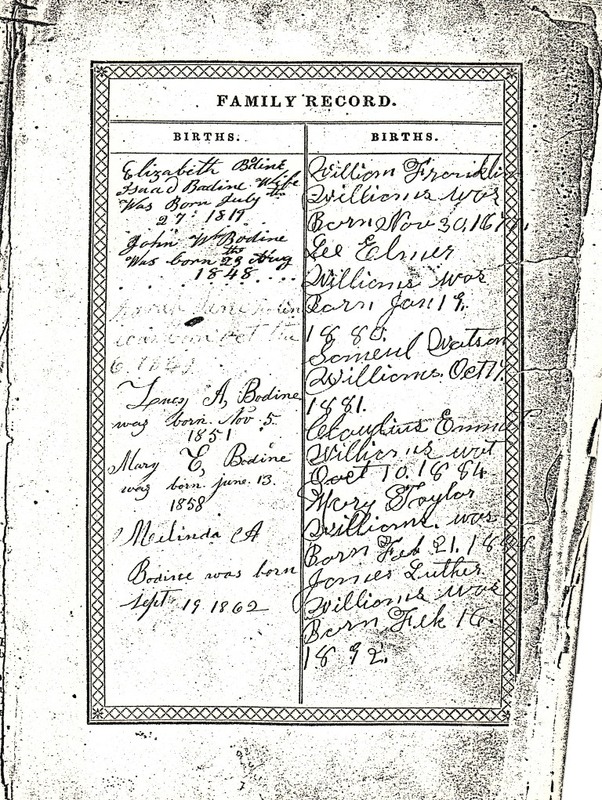 He is a brother of my direct descendant Isaac A. Bodine who ended up in Nelson County, Kentucky. His wife was Sarah Bailey. She was born April 17, 1776 and died February 2, 1846 in Logan County, Kentucky. Here is an image of page 1 of 2 of the original Births pages from the Bible. Here is an image of page 2 of 2 of the original Births pages from the Bible. 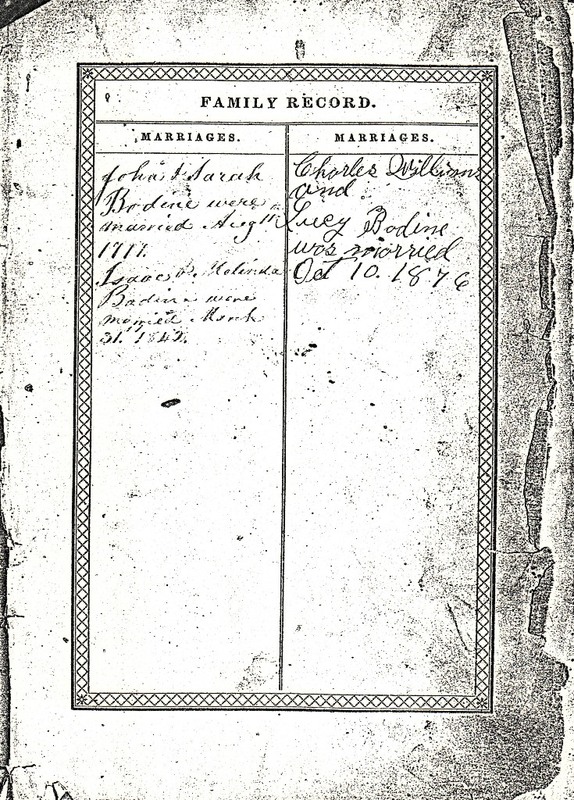 And here is an image of the original Marriages page from the Bible. And here is an image of the original Deaths page from the Bible. 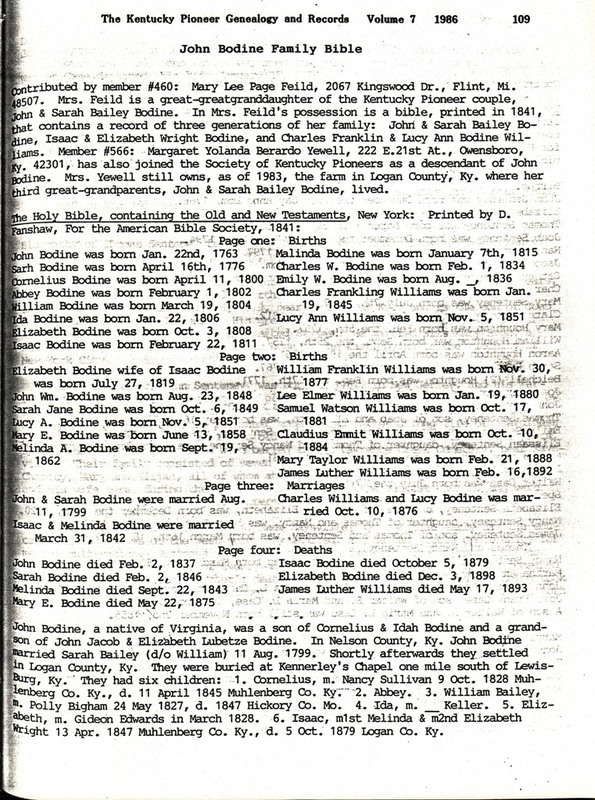 See John's family page John and Sarah Bodine for more information on this family.